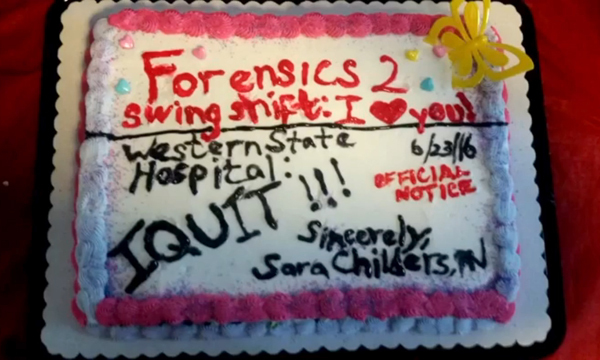 A nurse in the US resigned by sending an 'I quit' cake to her employers. Sara Childers shunned the formal resignation process and instead gave notice in thick black icing to Western State Hospital in Washington last week. She also wrote a message on the cake to her former colleagues on the forensics ward at the psychiatric hospital, telling them 'I ♥ you'. 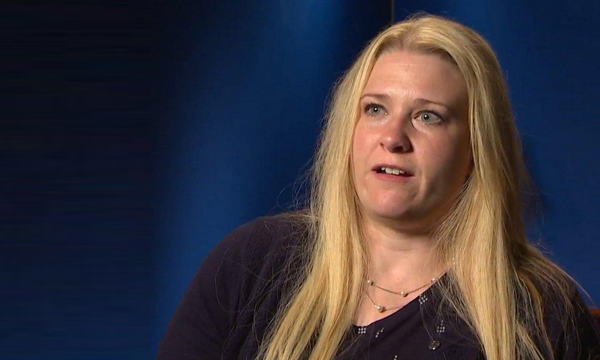 Ms Childers told local TV station KOMO-TV that long hours, low pay and insufficient training provision were behind her decision to leave the hospital after working there for 7 months. She plans to continue working in mental health as part of a non-profit group. A spokesperson for the hospital said: 'This was quite likely the most unique "letter" of resignation ever submitted to Western State Hospital. Knowing when – and how – to move on is an important career skill.